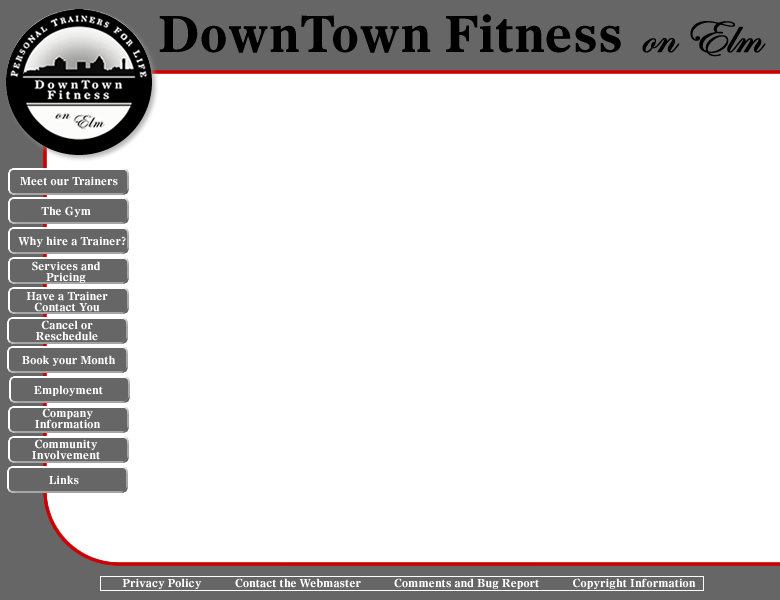 DownTown Fitness on Elm - Why Hire a Personal Trainer? Most people are in need of some form of guidance and encouragement, especially within the realm of exercise and diet. Coupled with MOTIVATION, trainers are also used to help with exercise adherance. More often then not, one of the causes behind this lack of compliance is INJURY, preventable injury. The main cause of injury in people performing unsupervised training programs is the lack of attention to core principles in program design, SPECIFICITY, PERIODIZATION, PROGRESSIVE OVERLOAD and PRIORITIZATION. These are key elements to avoiding a often missed exercise mistake, OVERTRAINING which plauges both the general population and strength athletes. More is better right? Without injuries, we teach you that exercise can be FUN! Depending on your physical limitations, cardiac concerns, lack of flexibility or other limiting factors more is most often the last thing you need. A properly designed, fun, safely implemented and continually adjusted exercise program is the key to success and a life long committment to health. If you have special needs, ambulatory issues, physical limitation due to injury or surgery, your trainer can meet those needs as well.